CONCORD — Repealing the state Utility Property Tax could help lower the state’s high electric costs, supporters told the Senate Ways and Means Committee Wednesday. The legislature lowered business taxes and the booming economy provided significant revenue surpluses, he noted, so now is the time to repeal the utility property tax which would help lower electric rates. Repealing the utility tax would cost the State Education Trust Fund $42 million annually, but Bradley noted state law requires the state to use general funds to make up any shortfall in the Education Trust Fund. While the bill is sponsored by eight of the 10 Republican Senators, it did not have the backing of Ways and Means Committee member Jeanne Dietsch, D-Peterborough, who said there are other ways to reduce electric rates, particularly by reducing demand. And she noted the revenue currently goes into the Education Trust Fund. “The money doesn’t come from nowhere,” she said, “it comes from somewhere,” adding it would be better to use the surplus money to help struggling school districts. When it was instituted, the utility property tax was assessed at the same rate as the statewide Education Property Tax at $6.60 per $1,000 of equalized valuation. Since that time the statewide education property tax rate has been reduced to just over $2 but the utility property tax rate has not. When it was instituted, the utility property tax took what had been collected as local property taxes and sent it to the state, meaning communities with large generating facilities had to raise additional local revenues to replace the money, sending property taxes higher. Currently the statewide education property tax raises $363 million, which is money that stays in the communities where it is raised. Some property wealthy communities raise more money than they need, but they do not send the surplus to Concord to be distributed to property poor communities as was done when the education funding plan was developed in the late 1990s to address the Supreme Court’s Claremont education decisions. Several community assessors testified on the bill, noting it is difficult to determine how repealing the tax would affect local communities. Jim Michaud, Hudson’s chief assessor said it is difficult to determine the impact of the repeal but it would apply to other utilities not just electric companies. He said it is important for communities to have access to the state’s inventory of utility property, noting the town was not aware of $2 million in utility property that should be included in the tax base because the state inventory was not sent to local communities. And Goffstown’s chief assessor Scott Bartlett said he has been concerned the utility tax is not equitable because it did not track the statewide education tax rate. Utility property is not included in the tax base for the statewide education property tax, but would be if the utility property tax is repealed, noted Sean Thomas of the Department of Revenue Administration. If that were the case, using recent figures the rate of the statewide education property would be reduced from $2.06 per $1,000 to $1.99. Including the utility would produce an additional $12.6 million, Thomas noted. 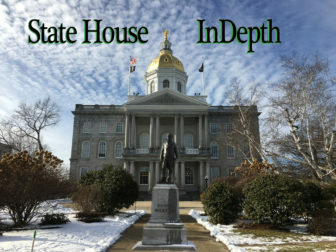 The bill was backed by the Granite State Taxpayers Association. The Senate committee did not make an immediate recommendation on the bill.